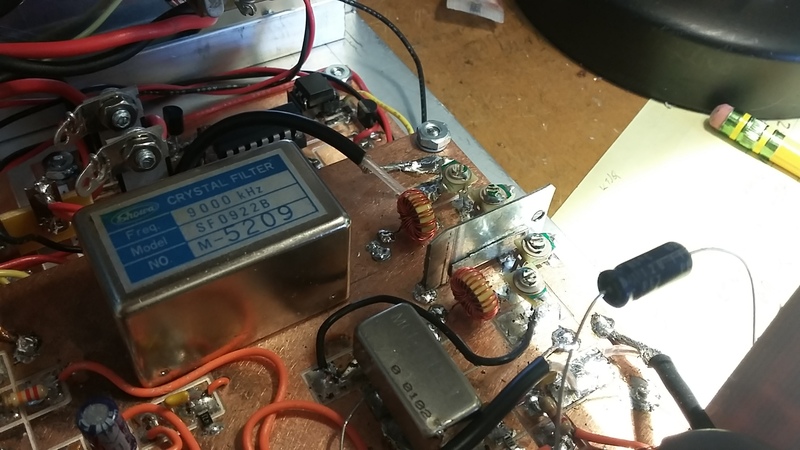 Noteworty is that I saw a you tube video about the need in Band Pass Filters to isolate the sections to avoid coupling at frequencies (ie harmonics) other than the design frequency and so in the photo below you will see a shield that was installed bewteen the two sections. 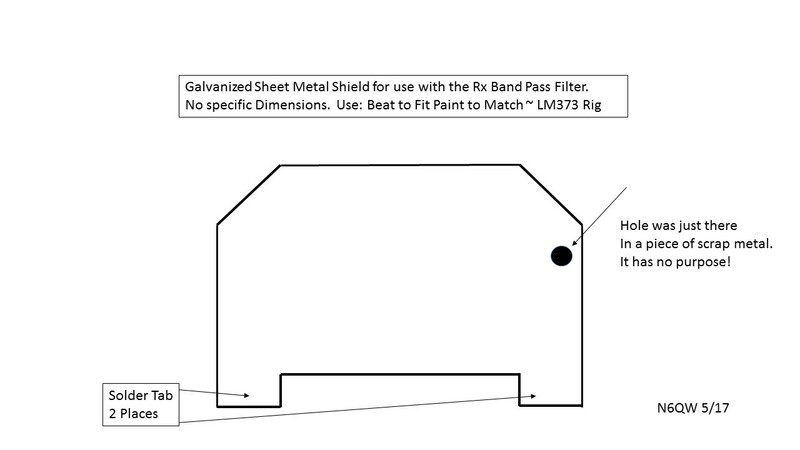 I use galvanized sheet metal that can be purchased in small sheets from Home Depot. The good news is that you can solder to the metal, it is easily cut with "tin snips" and is easily bent with a pair of hand pliers. I used a scrap piece and there was a hole drilled along one edge and that hole has no purpose. The way I made the shield was to cut a "u" shaped notch at the bottom so it would just clear a solder pad but the ends haveing more material were simply soldered to the PC Board.